Want to have a great time this holiday season? There’s probably already some fairly common knowledge, like finding the best events to head to, that you’re well aware of. If you want to have a fine night on the town and make it back to the high end apartments in Los Angeles in the highest spirits, though, you’ll want to make sure you go out and party right. How to accomplish this feat? There are a few things to keep in mind to maximize your fun and well-being, so read on as we reveal some party advice that will serve you well this holiday season. For many, the holidays come along with some sort of office party, where you and your co-workers will celebrate the season while doing a bit of networking as well. This is, ostensibly, a time for cheer, but, for some, navigating the pitfalls of an office party can cause a certain degree of stress. How to overcome the trepidation that comes hand-in-hand with an office party? There’s been plenty of advice written on the topic, from Reader’s Digest to Business Insider, so we’ll just distill the essence of the most pertinent tips here. First things first, this is one event that you cannot skip. As BI puts it: “To show that you're committed to the company, make sure you show up for at least 30 minutes. Always assume company gatherings are "must attend" events.” It might not be your thing, but at least try to drop in for a little while to show you’re a team player. Beyond that, though, you should remember to show up on time and in good spirits (your co-workers will see right through you if you show up fashionably late). Next, you can drink, but you’ll have to refrain from going overboard. The last thing you’ll need on your plate is having to deal with being the “drunk employee” who acts a fool and has to explain away their actions come the next working day. Good advice here is to remember that you’re not at a party with friends, you’re at your office with your co-workers. Keep yourself well-maintained to avoid any complications. As a companion to the above advice, you’ll want to make sure you eat before you arrive to avoid getting too intoxicated. Additionally, eating beforehand will keep you from being a cranky party guest, especially if they’ve not much to eat at the office. Be cordial, be sure to mix and mingle, but know where the boundaries are. If you wouldn’t say it at the office, you shouldn’t say it at the office party. Be sure to keep your commentary positive, stay out of drama and gossip, and keep the focus on the successes you and your teammates have achieved throughout the year. If you find yourself in the midst of an awkward conversation, you can also deploy a timely conversation saver to get out of a tricky situation. Last, but not least, remember that even though you aren’t at the office holiday party specifically to conduct business, you can still use the party to meet other employees you don’t know and do some networking. Keep the conversation light, but introduce yourself, learn more about your peers, and leave the party feeling richer for coming. 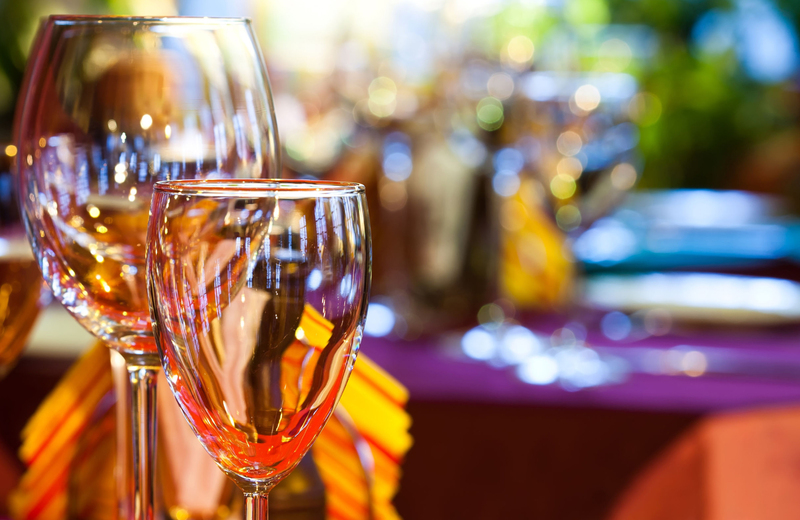 If you’re heading to a friend’s party for the holidays, you’ll be in a more relaxed atmosphere than an office party, but you’ll still want to observe the proper rules of etiquette. Southern Living has seven great tips that can help you be a stand-out guest: dress appropriately, bring some alcohol, contribute to the snack tray, provide some tunes, add some holiday cheer, be courteous to your fellow guests, and be thankful. Most of these are self-explanatory. Hosts tend to appreciate it when you contribute to making the party better by supplying practical materials. Snack food and alcohol are always welcome, and the higher the quality, the higher on the “good guest” list you’ll rise. Beyond that, though, you can contribute with your skills. If you’ve got some talent DJ-ing or running events, you can help with the musical entertainment or in running the show and really show your worth. Additionally, you’ll be seen as a hero if you’re staying responsible with your drinking, making sure other guests are able to get home safely (or have accommodations if they’re unable to secure a ride home), and stay respectful and thankful to the host for the entirety of the evening. Observe these rules, and you’ll be in good standing once you leave your friend’s holiday party and likely at the top of the guest list once next year’s party season rolls around. Sometimes you’ll be hosting the holiday party yourself, meaning you’ll have to be at the top of your game when it comes to keeping guests in line. In addition to handling all of the pre-planning that goes into throwing a party (making the guest list, inviting people, preparing food, etc.) you’ll have to act as the ringleader once party time rolls around. It’s a tricky dance, but Real Simple has a few tips you can employ to impress your guests and give yourself a leg up on holiday party management. Of particular value are learning how to transform your space into a more party-friendly atmosphere, along with controlling the mood through lighting and the arrangement of decorations. Master these, and your home will forever be known as the ultimate holiday party location by your guests and attendees. In Downtown Los Angeles, you can get a real head start on having the ultimate party location by making Eighth & Grand your city home. This pristine property is the one of DTLA’s most desirable destinations, and for good reason. The strategically-planned location gives residents prime positioning for making it to all the spots they’ll need to hit around the city, from entertainment to shopping and beyond. The wealth of floorplans offer plenty of space to accommodate your lifestyle, and the fabulous resident amenities ensure you’ll be staying in the lap of luxury while you’re at home. See what Eighth & Grand has to offer, and make it your top choice for stylish LA living.